And so it begins. The outlines of the shape of things to come are now appearing before Pakistan, starting with US Secretary of State Mike Pompeo’s latest remarks given in an interview that IMF “tax dollars” should not be used to bail out Chinese lenders. On the very same day that this interview was given, a blog post appeared on the website of the Centre for Strategic and International Studies, written by Mark Sobel who worked at the IMF as a “representative” of the United States government. Sobel’s post adds some more meat to the words uttered by Pompeo during the interview. He flags CPEC as a new ingredient in Pakistan’s economic mix, then adds a few words of caution. In short, before a bailout for Pakistan, the Fund should first pore over the details of all Chinese loans and liabilities incurred by the government of Pakistan, draw up a detailed debt sustainability analysis and, where necessary, ask the Pakistani authorities to first seek a rescheduling of these terms from the Chinese before any bailout can be arranged. 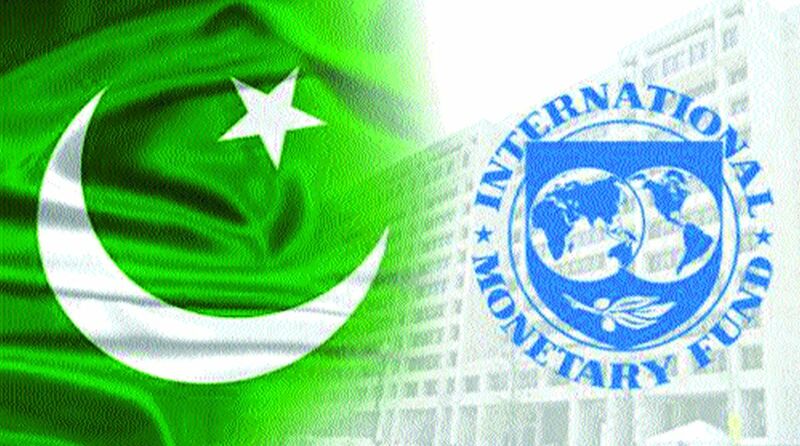 Former Pakistan finance minister Miftah Ismail is quoted by Reuters saying that these loans are not as big as imagined by the Western countries, and that their “weighted average interest rate” is two per cent. Fair enough, but a few questions arise. How come the Planning Commission put out a figure closer to $3bn a year or so ago? And when the IMF and government authorities discussed the impact of CPEC outflows on the country’s foreign exchange reserves, one of the answers given by Dar’s team was that we can always borrow more from the Chinese, using CPEC as a base (the exchange is briefly described in one of the review documents from the facility signed in 2013). And, while we’re at it, let’s also ask why Pakistan’s external debt service requirements leap to $45bn next year as projected in the Fund’s last post-programme monitoring report (that data is provided to them by the government, so it cannot really be said that the Fund is exaggerating). So the Fund will indeed have a leg to stand on should Pakistan approach them for a bailout (I’m still hedging in case a third option materialises out of thin air at the last minute). And there is a precedent for what Sobel is saying. In 1998, the Fund had asked Pakistan to first reschedule its Eurobonds before expecting any disbursements, under the logic that private lenders to the government should be asked to shoulder some of the burden of bailing it out of its external sector difficulties. Dar was the finance minister then too, and he struggled with fulfilling this requirement, and complained loudly that the Fund was attaching political conditions. In the end, those bonds were indeed rescheduled, which incidentally was the first ever Eurobond rescheduling undertaken by any government, but only after the coup. Then Fund resources were unlocked, and a stingy standby arrangement was agreed to with very tough conditions on the fiscal and monetary side. What is this? Could the Fund really ask the new government to first obtain the approval of the opposition parties in parliament before any disbursements can begin? Would this approval be easy to obtain for the PTI government? Again, there is a precedent. In 1994 when the Moeen Qureshi interim government was negotiating a facility, the Fund required them to first submit written affidavits from the leadership of both major political parties (Nawaz Sharif and Benazir Bhutto) saying they agree to abide by the terms of whatever agreement is negotiated by the interim government. The idea was to broaden the political ownership of the programme, and demanding buy-in from the main political parties was one way to do this. Of course, this time it won’t be an interim government making the approach, but the Fund could still say that lack of political ownership has stymied implementation of past programmes and broader ownership needs to be demonstrated before any disbursements can begin. That would put the PTI government in the position of having to work with the opposition at the very outset of its term. It is still possible that the new government could find a third way forward and none of this will come to pass. A bailout from another source could still come, though at best it will delay the decision by a few months. Bailing out chronic sufferers of external sector deficits is tiresome work, even for the closest of friends. But the first contact that the new government has with global bodies will be a crucial test.